Doug Smith is a native of Vancouver with a background in classical and jazz music and has been a composer, performer and teacher for more than 30 years. 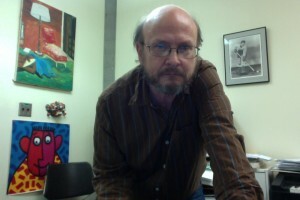 He has been a faculty member of the Douglas College Music Department since 1994 where he teaches composition, theory and history, and he also has taught at the Vancouver Academy of Music since 1995. As a composer he has received commissions from the National Arts Centre, CBC, Vancouver New Music Society, Vancouver Pro Musica Society, the Standing Wave Ensemble, Joe Trio and even the Douglas College Music Department. It is beautiful and so relaxing. Great for a warm autumn day like today. What a wonderful talent. Thanks for sharing.